The new USGA online software system we are currently testing to calculate our group’s handicaps on a regular basis is going very well and I believe that this is now reflecting the true handicap of each player and results in a fairer and more accurate system for our weekly games. Over and above the handicap calculation the system provides a large number of reports which are useful for tabulating results or statistics. 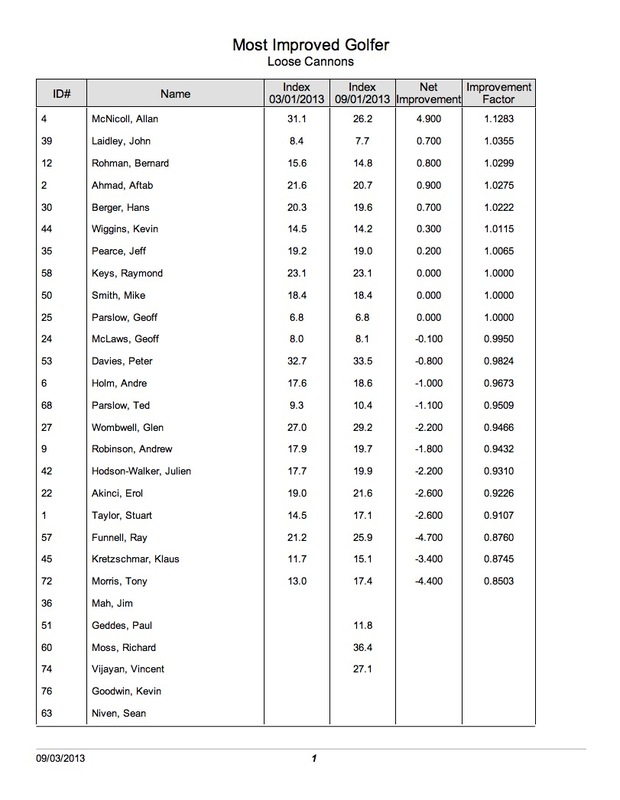 Below, for example, is an interesting table showing the Most Improved Golfer … in this case calculated over the last 6 months. Congratulations to Allan McNicoll for achieving this honour reflected again yesterday with his win at Bukit Kemuning. I will be posting a summary of the new online handicap system in the next few days so we can make a collective decision to go ahead and purchase the system to use on a regular basis.